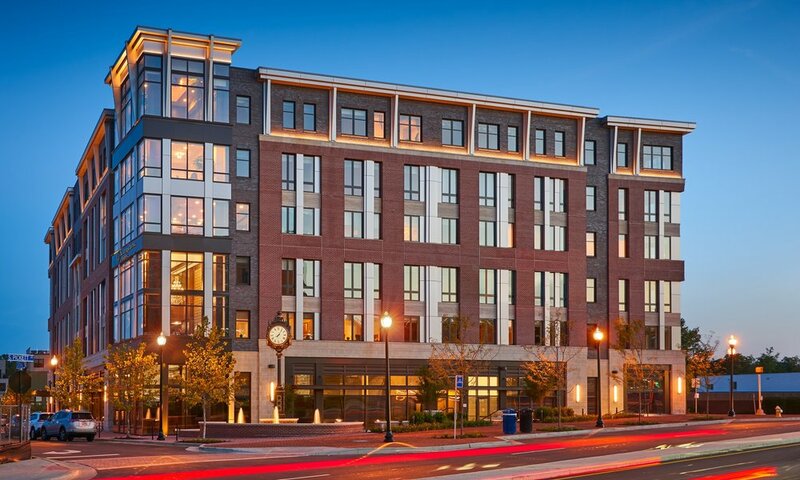 An upscale senior living community that offers assisted living, memory care and concierge levels of service, Brandywine Living at Alexandria is part of a new high-end development that includes market-rate apartments, townhouses and ground level retail. 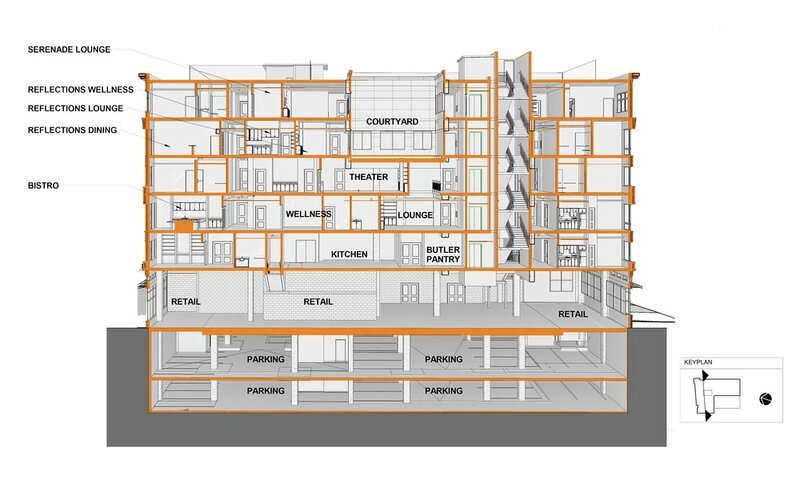 The building design exceeds the City's desire for a building that uses familiar and traditional materials of the area while bringing them forward to today's contemporary aesthetic. Luxury amenities such as a full-service dining room, parlor, music room, bistro, pub, theater and lounges throughout fulfill the client's vision of a building that feels like home.